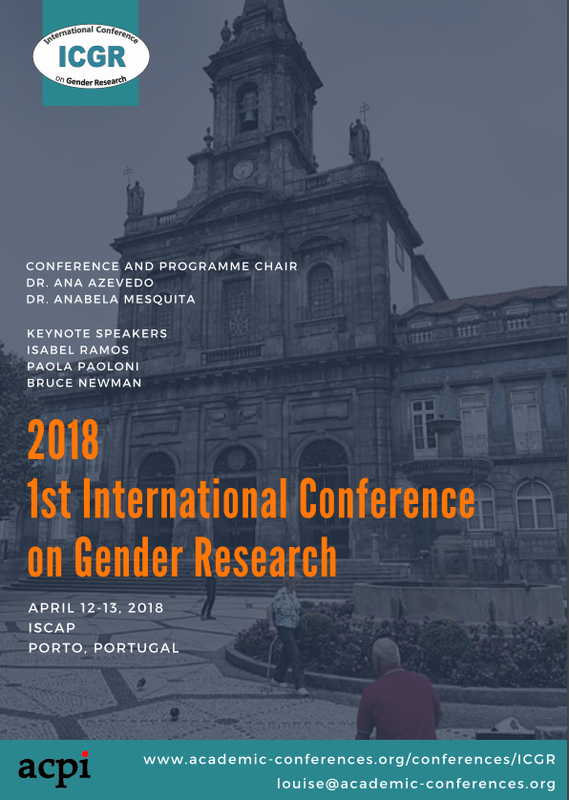 On the 12 and 13th of April 2018, the EQUAL-IST project will participate and present two of its scientific publications at the International Conference on Gender Research ICGR 2018 that will take place in Porto, Portugal, while an EQUAL-IST Partner is invited as a Keynote speaker. EQUAL-IST will be more than present at the first International Conference on Gender Research. Despite some advances being made in the area, topics related to gender research remain pertinent and are gaining momentum in a changing society. It is thus essential to empower and to develop research on specific gender topics, to acquire a more precise understanding and to obtain essential insights. The EQUAL-IST Partners are going to present two scientific publications derived from the Project, while our partner Dr Isabel Ramos, University of Minho, Portugal is invited as a Keynote Speaker at the Event for the subject of Empowering women in the IT/IS research: the importance of role models. The first scientific publication to be presented is: “A methodology for participatory Gender Audit in ICT/IST Research Institutions by our Partners Canali Claudia, Tindara Addabbo, University of Modena and Reggio Emilia and Maria Sangiuliano, University of Ca’Foscari, Venice. The second scientific publication to be presented, at the International Conference of Gender Research ICGR, is: “Negotiating Gender Equality Policies in IST-ICT Research Institutions: Reflections from the participatory Audit to the design of Gender Equality Plans in the EQUAL-IST Project”, by Sangiuliano Maria, University of Ca’Foscari, Venice, Canali Claudia, University of Modena and Reggio Emilia, Italy and Madesi Vasiliki, Private research and Innovation Laboratory, ViLabs, Thessaloniki. Both publications will be soon available at our website.